This bear is in need of a hug. Know someone who can look after him? 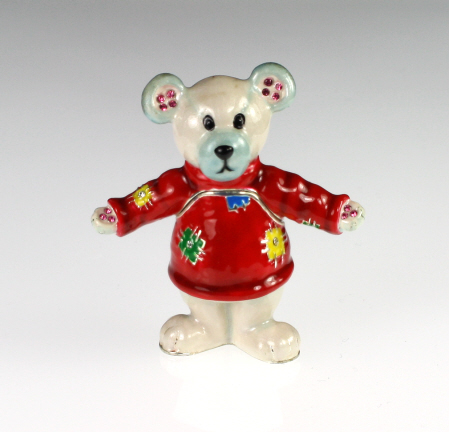 Wearing a bright red jumper with outstretched arms he makes a cute gift. With pink Austrian crystals in his ears and on his paws he is looking for a good home. One of the 'Hidden Treasures' award winning range. Padded presentation box and replica necklace.